Solid Construction, extreme durability and reliable sanding performance - all of that is acquired with the purchase of a Kündig sander. Kündig offers sanding solutions for all aspects of the woodworking industry. However, Kündig is not limited to wood sanding. 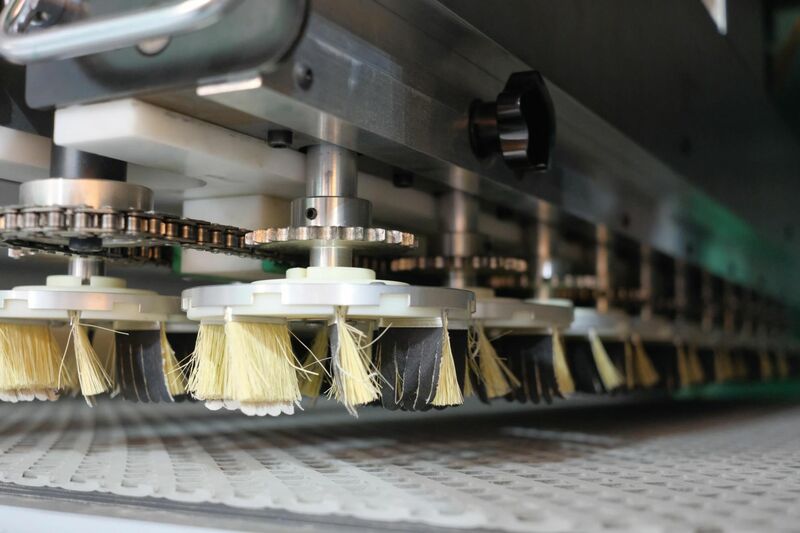 From different materials such as solid surface, foam glass, honeycomb or cork to aeroplane brakes - the sanding experts at Kündig are widely regarded by the industry professional s as those who would likely find a solution to even the most specialised of surface processing challenges. The oblique sanding technology has already made itself a name in the industry. It doesn't only allow customary parallel sanding. The unit can also be pivoted for cross grain sanding - resulting in considerably finer surfaces and less sanding traces, compared to the standard method. The Kündig exclusive oblique sanding technology is very versatile and can be used for solid timber sanding as well as for lacquer applications. The "classic" wide belt sanding technology. It has come a long way in the last few decades and has proven appropriate for many tasks. 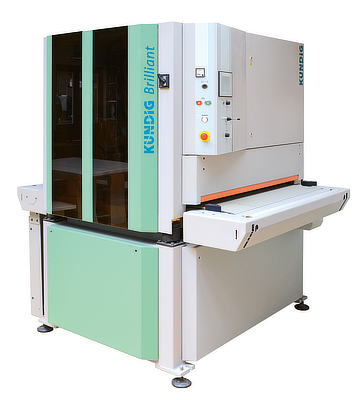 Kündig Premium series sanders incorporate parallel sanding and are well known for their reliability and their ability to produce very clean surfaces. The improved cutting ability of oblique sanding units proves to be perfect for intermediate lacquer sanding. It allows the operator to use finer grain sanding belts than usual and is usually enough to produce stunning lacquer results. Combined with the cross-belt technology, which is also well known for its traceless sanding abilities, the oblique technology moves machine aided high gloss lacquer work to another level. Brushes are great for structuring purposes, but not only that, they're also being used for the sanding of profiled surfaces, or to round off edges. It is a great addition to every wide belt sander and widens the scope of abilities. Kündig offers a whole variety of different brush options.